30 fashion designers will on Friday in Abuja demonstrate their talents in fashion design competition organized by Trendy Culture Fashion Show (TCFS). 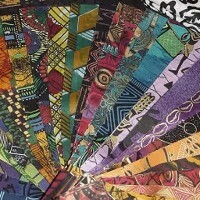 Miss Ronami Egirani, spokesperson for TCFS said on Tuesday that the one-day event would promote Nigerian fabrics and serve as a platform to showcase African fashion and design. Egirani said that the event would feature upcoming designers who had made significant and demonstrable contributions in the field of fashion and design. She said that it would give them the opportunity to present their creativities and designs for an audience to experience the perfect expression of fashion delivered with a touch of elegance. ``Acquiring skills in fashion designing is a veritable tool toward becoming self employed, generate income and be employer of labour,’’ Egirani added. She said that top designers in the Nigerian fashion industry such as Mai Atafo, Frank Osodi, and Ade Bakare, among others would mentor the designers that would be selected to participate in the event. According to Egirani, they are to learn business management skills and how to create brand names for themselves which will help to prepare them for the fashion industry.